Background Non-adherence to long-term therapy for chronic illnesses is considered the major reason why patients fail to reach their clinical goals, resulting in suboptimal health outcomes, death, and extra costs on the health care systems. Knowledge about the disease and prescription medications, an understanding of the reason the medication is needed, and good expectations or attitudes toward treatment, all contribute to a better medication-taking behavior and are associated with higher rates of adherence. Objective This study examines the relationship between knowledge and adherence of patients receiving long-term therapy for one or more chronic illnesses in Jordan. Settings The study was conducted in the out-patient clinics of two Jordanian hospitals (The University of Jordan Hospital and Jordan Hospital). Methods This was a cross-sectional study that included 902 patients. 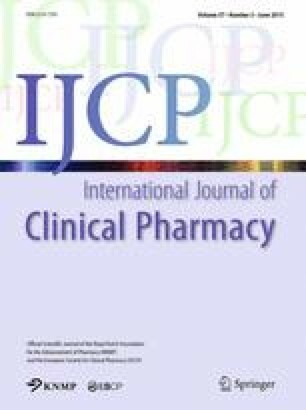 The correlation between patients’ knowledge about their chronic medications and adherence was assessed. Effects of several sociodemographic characteristics were investigated in regard to knowledge and adherence. Main outcome measures Knowledge was assessed by a modified version of the McPherson index, and the Morisky Medication Adherence Scale was used to assess medication adherence. Results A significant correlation was found between patients’ knowledge and their adherence to medications (r = 0.357, p < 0.001). Most of the participants had low adherence. Younger age, higher education levels, high income, fewer medications and diseases were significant predictors of higher knowledge levels. Knowledgeable patients were found to be twice as likely to have moderate-to-high adherence as their unknowledgeable counterparts. Similarly, high income and higher education were associated with higher adherence scores. Conclusion Forgetfulness and aversion toward medications were the most common barriers to medication adherence. This implicates that clinicians and health care policy makers should direct their effort toward two main strategies to improve adherence increasing awareness and education of effective ways to remind patients about their medications. The online version of this article (doi: 10.1007/s11096-015-0086-3) contains supplementary material, which is available to authorized users. The authors are grateful the logistic support from the Deanship of Academic Research at the University of Jordan, the University of Jordan Hospital, and the Jordan Hospital. The authors are grateful for the financial support from the Deanship of Academic Research at the University of Jordan.